The Avg. Group Discount is 12.1%! Walking distance to Calgary's Entertainment, Shopping and Dining Districts, as well as the Scotiabank Saddledome. Hotel Arts is also within a four block of both of the city's convention facilities: Calgary TELUS Convention Centre and BMO Round-Up Centre at the Stampede. 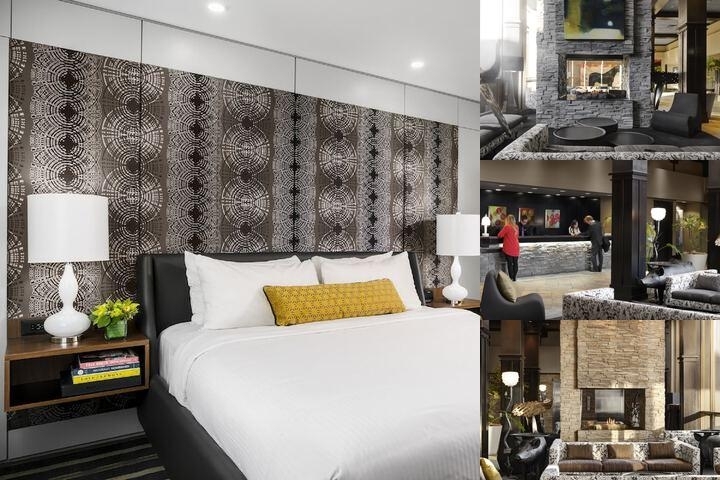 For business or pleasure, we offer you a travel experience of chic luxury, contemporary art, intuitive service, and sumptuous cuisine.In the heart of downtown Calgary, we are a 175-room boutique hotel focused on renewing both the business and recreational spirit. Our acclaimed conference and banquet facilities receive the same artful attention to detail as our decadent designer rooms and spa-like amenities.Every time you do business here, you'll remember how smooth things went, how relaxed everyone was, how un-corporate the corporate services were.Every time you stay, you'll be inspired by our art collections, our award-winning Raw Bar menu, our stunning poolside patio, or that shop or spa you've discovered just steps away.You might find that you keep coming back. Hotel Features: The Hotel Arts is a 175-room hotel locating near shopping, arts and entertainment options in downtown Calgary. While there is a nearby conference center, the hotel itself has meeting facilities for on-site meetings. The comfortable, sophisticated rooms are perfect for romantic getaways, family vacations or business trips. Guest Rooms: Pool suites overlook the pool and feature king-sized beds, 42-inch TVs, and bathrooms with Italian marble. Guests also receive plush bathrobes to use during their stay, and bathrooms are stocked with Aveda products and have two-person showers. Jacuzzi suites have a 52-jet Jacuzzi in the room and provide views of the city. Luxury suites offer a private balcony with city views. Luxury and studio rooms are also available. All accommodations have pillow-top beds, goose down duvets, and high-speed internet access. Nearby Attractions: Calgary's attractions include the Calgary Zoo, which features shows in addition to the 1,000 animals that live there. The Zoo's conservatory includes a butterfly display, available seasonally, and peaceful gardens. Canada Olympic Park is yet another attraction that you will want to visit. Skiing, snowboarding, and a zip line provide you with a thrilling good time. Also located in Calgary, the Heritage Park Historical Village lets you experience life during the Old West. Amenities: The Hotel Arts features a heated pool that is open year-round. Guests can relax poolside on the patio and order drinks and edibles. A fitness center helps you stay in shape. Park in the underground heated garage at the hotel. The hotel offers two restaurants on the premises, Taste Restaurant and the Raw Bar. Guests can use the complimentary internet service in the lobby and the Raw Bar. --Couples looking for an exquisite wedding destination. -- Business travelers who need amenities designed to help them stay in touch with the office. -- Sports enthusiasts who want to spend a weekend skiing or snowboarding. Expert Tips: The hotel offers access to special areas for wedding photographs, and special guest rates for the guests of the bride and groom. For individual reservations, we request cancellations up to 48 hr prior to the arrival date. Group reservations are subject to cancellation dates listed in the negotiated contracts. Weekdays: Our elevated continental breakfast buffet is available in Yellow Door Bistro at a rate of $15.00 ++. The breakfast includes fresh fruit bowls, charcuterie selection, selection of fresh pastries, yogurt parfait and more.Weekends: Our popular weekend hot brunch buffet is available on Saturday and Sunday in Yellow Door Bistro at a rate of $24.00++. The diverse offering includes hot selections that change each week. Our Chef prepares delicious surprises that highlight seasonal ingredients and creative influences on traditional favourites. Named Best Brunch 2016 by Where Calgary Avenue Magazine in 2014 & 2015. Our hot buffet includes tableside service with toast, bagels, cereals, coffee, tea and juice. We invite you to explore and enjoy the most important meal of the day. Wireless and wired internet in our guestrooms are provided complimentary. There is also complimentary wifi available in our public spaces. Internet in our meeting space is provided by our 3rd party on-site Audio/Visual partner, PSAV, as is priced dependent on needs and usage. Below are the meeting, banquet, conference and event spaces at Hotel Arts. Feel free to use the Hotel Arts meeting space capacities chart below to help in your event planning. 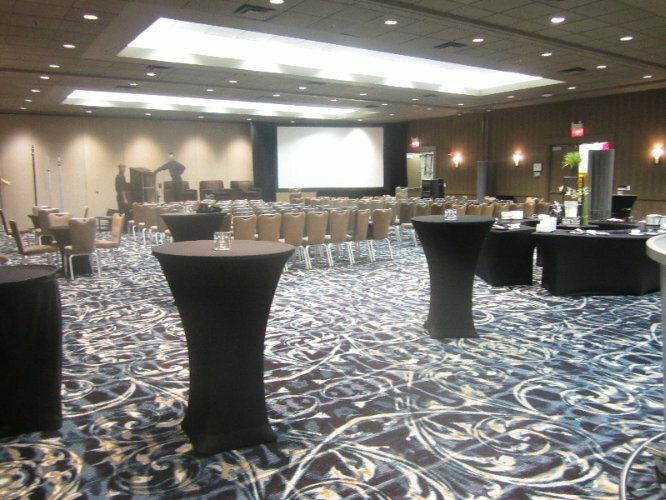 Hotel Planner specializes in Calgary event planning for sleeping rooms and meeting space for corporate events, weddings, parties, conventions, negotiated rates and trade shows. 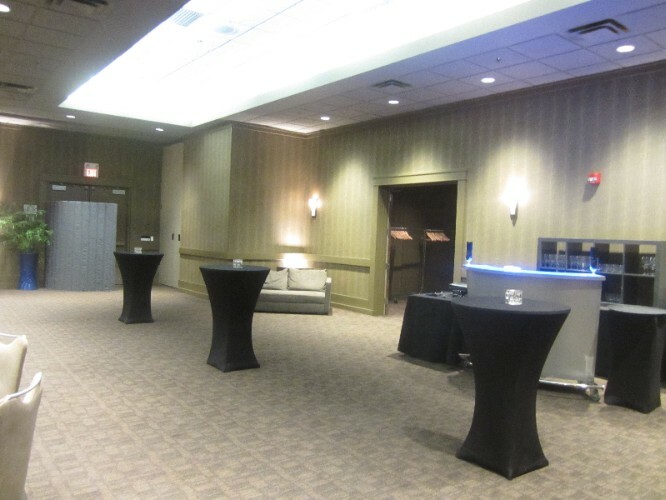 Our Spectrum Ballroom represents 9,598 sq ft of meeting & ballroom space. This unique room is laid out in an L shape and can be sectioned off into up to 5 separate spaces. This unique layout provides for a myriad of setup possibilities. The space sees many wine tastings, fundraising galas, weddings, meetings, speaker engagements and other events within it's walls. We installed brand new, designer carpet in October, 2015. 48 x 23 x 11 Ft.